Are you thinking of moving from Alamo? There is no need to stress. Whether you are planning on moving across the street, or across the country, UNITS is a unique storage and moving service that lets you move your things at your own pace. By using UNITS you’ll save lots of money that you would have spent on a moving company in Alamo. You’ll also save time because UNITS will let you take as long as you need to move your things into the transportable storage pod. Alamo residents can request s storage pod, fill it up, and have it moved anywhere in the country. 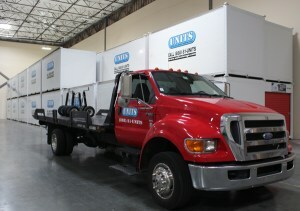 When you use UNITS to move, we begin by taking one of our portable storage units in Alamo to your house. We give you the key to the pod and let you fill up the storage unit at your own pace. When you are ready to move your portable storage unit in Alamo to your new destination, we load the locked storage unit onto one of our trucks, drive it to the new destination, and drop it off. You are then free to unpack the portable storage unit at your own pace. After the unit is emptied out, we come by again to pick it up. This is a particularly effective storage solution when trying to move long distance. Our customers are left with a unique moving experience that removes the usual stress and moving company expenses. At UNITS we know how important it is to keep your stuff safe. At some point you may need a storage facility to hold your stuff for a while. UNITS can provide the storage solution in Alamo that you are looking for. Our storage facility is equipped with top-of-the-line security systems, it’s climate controlled, and kept under 24/7 surveillance by our staff. Customers in Alamo are also welcome to store their stuff on their own property if they want to have easier access to their portable storage unit. UNITS also has access to facilities designed to accommodate business storage. This warehouse space, and on-site storage solution is often one of the cheapest options for local businesses in need of storage space. 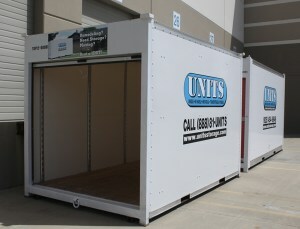 Contact UNITS today for an efficient and affordable way to move, or store your stuff!